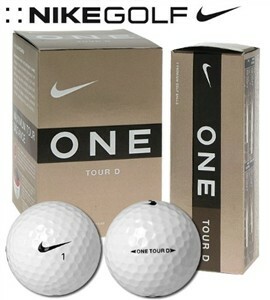 The Nike One Tour D is a 3-piece ball designed with distance in mind. The core is a softened progressive density core, which will give increased speed to a variety of different swings. There is a "Power Transfer Layer" that is designed to maximize distance and control with every club in the bag. The cover is a seamless urethane that has an aerodynamic 336 dimple design. I would recommend this golf ball to you if you have a fast (90+ mph) and you are looking for a premium ball that will give you superior distance. The ball also has a fantastic feel and incredible control with your scoring clubs as well, but to get more distance, you are giving up a bit of spin on the greens. This is comparable to Titleist's Pro V1x. If you want the same ball with more spin and less distance, check out the Nike One Tour. This is the ball that Tiger plays and is comparable to the Titleist Pro V1. Finally, for the slower swingers (80mph+), a less expensive alternative is the Nike One Vapor. Although this is slightly harder than the Tour and Tour D, it is not a distance ball and still has a great feel and decent spin on the greens.